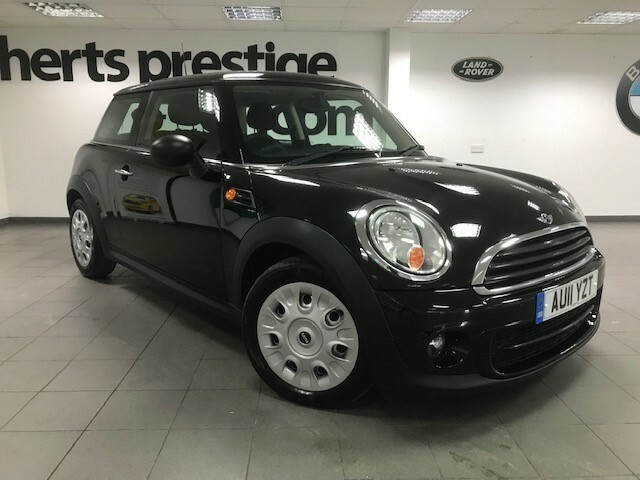 AA INSPECTED LOW MILEAGE MINI DIESEL IN BLACK--FULL SERVICE HISTORY--MOT JANUARY 2020--LOW DEPOSIT FINANCE AVAILABLE--ALL HERTS PRESTIGE CARS ARE HPI., Air-Conditioning, Alarm, DAB Radio, Electric Windows (Front), Hill Holder, In Car Entertainment (Radio/CD/MP3), Tyre Pressure Control. 4 seats, BLACK, 2 owners, EXCEPTIONAL HPI CLEAR CARS. 12 MONTHS AA BREAKDOWN COVER. FULL DEALER FACILITIES, £5,695 p/x welcome -- All Herts Prestige Cars Are HPI Clear, Part Exchange Possible, Finance Available, We include a 3 Month Warranty with our cars, or you can buy a Comprehensive National Warranty that covers Most Electrical + Most Mechanical Components ,these warranties cover factory Fitted Parts @ Any VAT Registered Garage, Please ask for details of this superb optional cover available from 6,12,24 or 36 Months from only £ 299 please ask for details. Our Showroom is located at 5-5a South Road, Bishops Stortford, Herts, CM23 3JG with Customer Parking. Our Double Cab Centre is located @ London Road, Spellbrook, Herts, CM23 4AU with Customer parking Please call us on 01279 655124 to view any of our vehicles at either location, Open 7 Days A Week.